I've always loved the quote above by C.S. Lewis. What reader doesn't share his sentiments? I love settling in on the couch with my blanket and a cup of tea - ready to dive in to the adventure on the pages before me. As for the second part of his statement, I used to agree. Sadly, I think this is one side effect of blogging that isn't what I'd qualify as a positive change. 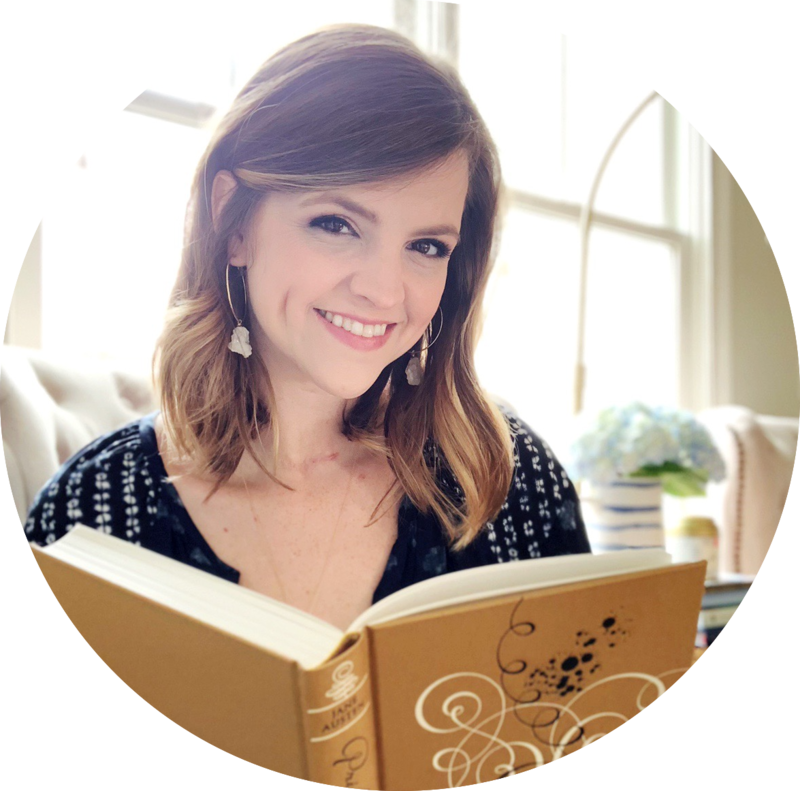 Jamie at Perpetual Page-Turner has a fantastic new Before & After Blogging feature where she talks about bookish habits that have changed since she's started blogging. I think most readers who now blog can identify with many of the things she'd listed. I've been thinking about a post about this for a bit, and recently saw that she already wrote about this topic for that feature! While I don't necessarily expect to spark a new conversation on this topic, I still wanted to share some of my own thoughts and feelings. I used to have no second thoughts about picking up a chunky book. None at all! And I since I barely read young adult before blogging, we're talking adult fiction, classics, non-fiction... chunksters that often took even more time to read than a chunky YA book! If I liked the sound of a book and was in the mood for it, I just started reading. It could take me a few days or a few weeks - I really wasn't concerned. But that changed when I started blogging. Setting a Goodreads goal, tracking my reading and having new reviews all became more important than slowing down and picking up a thicker book. Y'all, this makes me sad! I know that I've let so many books just sit on my shelves that I would probably love if I just gave them a chance to win my heart. I'm a really fast reader, and I can often finish a book in an afternoon. If a long book really grabs my attention, there's still a chance I'll fly through it's pages. But if it's a long book that's also potentially going to be a slower read (like a biography), I'm way less likely to start reading it. And if I do, I'm likely reading a chapter here and there because I'm juggling another shorter/easier/faster book that I'm giving most of my attention. There can be such a pressure associated with blogging, even though it's usually just the pressure you put on yourself. From trying to read review books in a timely manner to having enough content for blog posts, it's easy to fall into this weird GO GO GO blogging mindset. I've lately been on a major L.M. Montgomery kick, and I bought what is considered to be the definitive biography of her life. It arrived at my door, and I excitedly tore open the package to discover that the book was almost 700 pages. Cue a wide-eyed stare and the book being shuffled to my shelves. Then, a week ago, I couldn't stop thinking about how much I wanted to read the book. Y'all, that was the only thing that I was interested in! Instead of just picking it up, I tried to talk myself out of it. I couldn't stop thinking about how long it was going to take to read, how many other books I could read in the meantime, how I might need to pick something fun to read at the same time... You name an excuse, I probably thought it. I started the book a little over a week ago, and I just finished it this weekend. So, despite its length, it still only took me a week to read. A WEEK! That's really not that long for a 700-page book, and I loved every minute I spent reading it. As Jamie has pointed out, blogging really does bring so many changes. Some are good, but others I could do without. And some of those changes are my own fault! Who says I can't read a long book? Who says I can't re-read my favorites? NO ONE! There are no blogging rules, no guidelines to follow, and no reason I can't read what I want. If you compare blogging to exercising, sometimes I feel like I'm just running on a treadmill. I'm doing the same things, the same way, and often at the same pace. Sure, I might be achieving my goals, but I'm not necessarily loving every minute of it. The only time I've ever enjoyed going to the gym was when I mixed things - maybe lifting some weights, spending some time on the stationary bike, maybe getting on the elliptical if I felt really motivated. So, my goal for blogging is to get off the treadmill. I want to infuse a little more variety in my reading life - whether that means I'm reading longer books or just reading from more genres. Spending a week reading a book - and a biography at that - has helped me realize just how much blogging has changed my reading habits. Regardless of whether you're a blogger or not, I think everyone can relate to that feeling of being in a little bit of a rut. This is my way of acknowledging it, working through it and hopefully starting to make some behind-the-scenes changes. You might not notice any difference on the blog, but I'm excited about what the future might hold! Really good points. I think that's why I try to stay away from stats and expectations. Oh I love that about you! I need to get better at doing that, too. I know exactly how you feel. It's been bad for me lately, when each month my book club members have been choosing longer and longer books. I found myself getting annoyed, because those books were going to cut into my YA/review book reading time! But I do think it's nice when we can just let ourselves relax into a chunkster and not worry so much about how long it might take. Such is the plight of the book blogger, it seems. Glad you understand! Yeah, I think it's definitely more common with book bloggers. I'm working on trying to relax and just enjoy longer books again. But it's hard to change my recent habits! Oh, I'm glad you know what I mean! I've been watching more TV lately, too, which has meant less reading time. So, when I do read, I'm definitely picking shorter books or ones that I know I'll finish fast! But it's dumb because sometimes I'll race through a long book if I get really into it - I'm just not even giving myself a chance to! I tried not to let book blogging change my habits too much because I didn't want to fear longer books. The truth of the matter is that it has happened anyways. I always think I need to get this book done so I can complete my TBR. When I really enjoy a book I take the time to sit back and just enjoy reading it. My last one that I did that with was Firefly Lane by Kristin Hannah which just happened to be a 479 page book. I finished it very quickly because I enjoyed my time reading it. I just finished City of Bones which is a 485 page book in 6 days. Chunky books shouldn't be feared, but enjoyed. Yeah, I tired not to let blogging change anything but it definitely has altered some of my reading habits. Totally agree that chunky books should be enjoyed, not feared. Hopefully I can get more into that mindset soon! I really enjoyed and identified with this post. Although I'm not a big name blog, I've felt the pressure to post with extreme regularity and participate in memes, etc, but my work schedule doesn't allow for me to read like I used to, do recently, I just made up my mind to read what I want DVD review what I want when I want. EXACTLY! 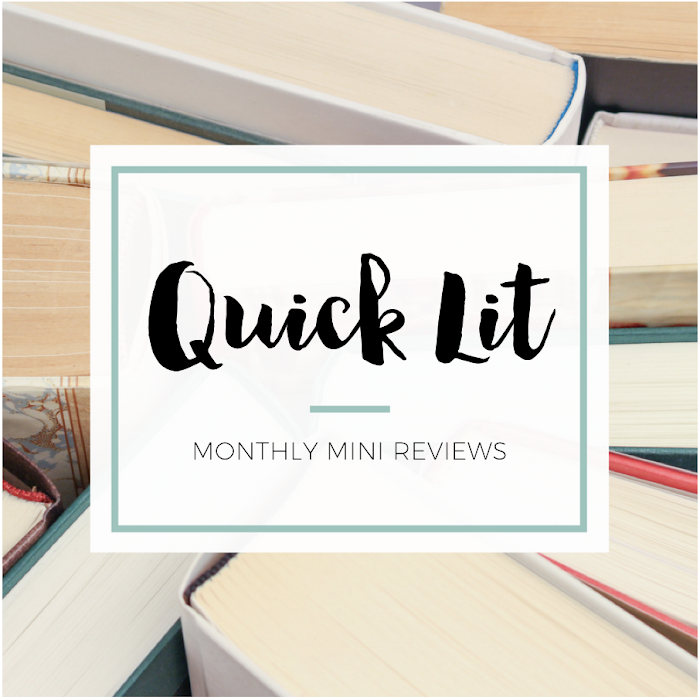 I'm not a big blogger either, and I don't even really read many reviews books (aside from a few from NetGalley) so it's not even like I have that as an excuse. My work schedule hasn't changed but work has gotten busier/more stressful lately so I have less of an interest in coming home and working on blogging-related things. I still feel like reading - just not like blogging! Hit publish early!! I meant review when I want. I still experience blogger envy sometimes, but it's also liberating to remind myself why I began blogging in the first place. PS - Totally agree on reminding myself of what I started blogging in the first place! I agree too. I never thought anything about reading a big book before I started my book blog. Now I think "I can read 2 or 3 and have 2 or 3 reviews for that same large book". I'm trying to get ahead in reviews so that when I read something long, I still have posts ready to go. Have my cake and eating it too in a way. Yes, that's exactly what I think too! I rarely schedule posts, so I'm trying to get better at that too so that I won't care as much if I want to read a long book! Yes - to everything you say! For me, gone with blogging has been re-reads of my comfort reads (including Anne) and an unwillingness to read a current popular read for fear that I will be disappointed or won't get it and I think also an unwillingness to read anything that I won't think will make a good review book. Sometimes, I do get tired of reviewing books too. I'm actually on a blogging break at the moment. I am not even sure I'll go back to it yet. I'm slowly starting to enjoy more diverse reading again. OMG yes, yes, yes to re-reading going away! I'm planning on writing about that, too. Hope your blog break is refreshing! And I totally understand not wanting to come back, too. Agree on the whole diverse reading, too. In some ways, blogging has introduced me to more books. But it's also narrowed my scope sometimes. Hoping I can change that too! Blogging itself takes up a lot of time that I could be spending reading, so I'm trying to learn to balance things a bit better and remind myself of the importance of quality over quantity. I'm sure many of us get frustrated and consider leaving blogging altogether, but sometimes all we really need is a reality check and a reminder of why we started in the first place. The people who are our regular readers will likely stick with us even if we post less often because we're taking more time to read longer books or different books. We all need to put less pressure on ourselves and remember that the people who really care about what we write won't disappear just because we evolve or change a bit. I keep telling myself that quality over quantity is definitely the goal. I'm trying to remind myself of why I started - to share my thoughts on books I loved. And as a blog reader, I sometimes wish people posted LESS because there's just too much noise / too much to read haha! "If you compare blogging to exercising, sometimes I feel like I'm just running on a treadmill. I'm doing the same things, the same way, and often at the same pace. Sure, I might be achieving my goals, but I'm not necessarily loving every minute of it." THIS exactly. I've been feeling like this about blogging lately, mostly because it doesn't allow me to read as... free, as I used to. This is a weird sentence lol. I think that for now, I'll just keep on doing what I'm doing and once I have found a routine that works for me, I can go back to re-reading favorites. Because I so want to! 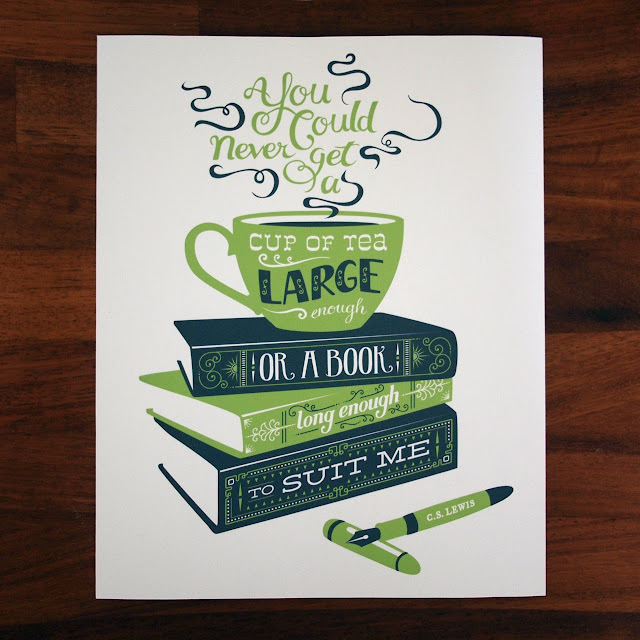 YES to this exactly: "I have so many big books that I want to read and I used to LOVE those. Because spending more time in a certain world with the characters I loved? That was just too good to be true." I used to love getting to spend more time in a world with characters I loved. I hate that I avoid those books now! And if I was trying to read in another language, I would totally fail. I'm so impressed by your language skills woman! Yes to so much of this post! I remember confessing this recently, saying that it was a bad habit I picked up thanks to blogging. I was actually in Chapters the other day and saw a copy of The 5th Wave. I got really excited, because I've seen so many glowing reviews, but then I realized that it was HUGE! Immediate turn off, which is a shame since size didn't bother me before blogging. I also have to admit to picking my next read based on size. If I'm behind on my scheduled posts, I look for a thin book with big font, hoping I can get through it quickly in order to get ahead again. And that treadmill analogy? Spot on! I soo know what you mean!! Before I started blogging I took my time reading books, it didn't matter how long it took to read them and it didn't matter how long it took for me to pick up another book after had finished reading one. But now all I ever think about is how many books I can squeeze into a week, how long it will take me to read one, I usually aim for one night to read a book which isn't a lot of time when you're reading a thick book. YES! I always think that, too. How many can I read? Which ones will go the fastest? etc. Totally agree that I'm reading a lot more since blogging, which is good in some ways and kind of a negative in others. I definitely don't want to read to the exclusion of other things I like to do! But it's hard sometimes when you get into that BLOG BLOG BLOG mentality. There are so many books that I would've read in the past that I just can't read now. Sometimes I find myself getting bored -- probably because I'm used to the fast-paced YA reads I've read a LOT of -- and other times the length of a book (or the font size!) just feels daunting ... like I will NEVER finish the book. Lately, I've been trying to change my reading habits, but have more or less been taking a break. It'll be nice to get back to picking up whatever I want in the future ... not worry about book length or font size. Just read because it looks good! This was one of my resolutions this year - that I'd try not to avoid long books. It's not that I get bored, but I do start thinking about how long it's taking me to read and how long I have left. Like you, I'm trying to just read whatever I want (regardless of the length or whatever) just because it looks like a great read.